As we saw last week, the critical moment in an inmate’s life is getting out of jail. The young man we saw last week was greeted by some very negative, one-sided press. I was amazed that remand centres did not have programs for getting out of jail. They simply said goodbye. Yet it is of vital importance as to who picks a person up. Will it be a family member or a gang contact? What will the inmate do on their first day out of prison? An inmate I knew saw this problem and set up his own program to help men adapt on their first days out of jail. Other inmates get out after long stretches of imprisonment. Society is often a puzzle to them. The statistic tells it all. In Canada, one half of the inmates return to prison for one reason or another. That’s a terrible indictment of our prison system. What is to be done? We ordinary people cannot go to prison to help, but we can help in the community. And that’s where help is needed. 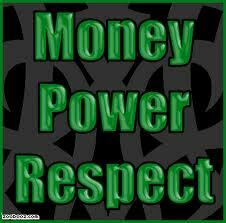 Of course, we have to do that work with the knowledge and support of the person’s parole officer. A young man I worked with just got out of prison. The parole board placed some restrictions on him and he was to live in a halfway house for a period of time. This young man was always quiet and never spoke his piece. In writing class, he wrote an amazing piece on courage which won him a prison writing contest. I followed his story in the newspapers, and I asked him once why the media never portrayed his side of the story. He just shrugged. From previous conversations I knew that he was very sorry for what he had done to another man in a post-teen brawl. The two sides had been fighting, and both were to blame. But this young man stepped over the line and severely injured another. Despite his action, he tried to change, and worked toward solving problems in other ways besides violence. But he was so extremely quiet. “Tell the Board, tell the media how sorry you are,” I would say. But he said nothing. When he got out, the local paper played to the lowest group of their readers and recalled the fight and what he had done. The conclusion the media wanted us to do was either hide in our basements or scream to keep people in prison for life. I wrote a letter to the editor complaining about the tone of the article. The reporter got back to me by email and that was good. He/she said they had contacted the parole board and the prison authorities for their information. I wrote back and asked if they had contacted the young man himself, even though I already knew they hadn’t. In regard to prisons and crime, today’s media is part of the problem, not part of the answer, or so I think. 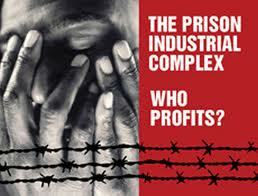 Who is the Prison Industrial Complex? The companies who sell food to the prison – vegetables, meat, and staples. The local and stare/provincial legislators in areas where prisons are. These people know that if they don’t support the prisons, they won’t be in office. We’re talking big money here in many cases. These are people who want to see more and bigger prisons. They don’t want to see prison reform and they have a lot of clout.